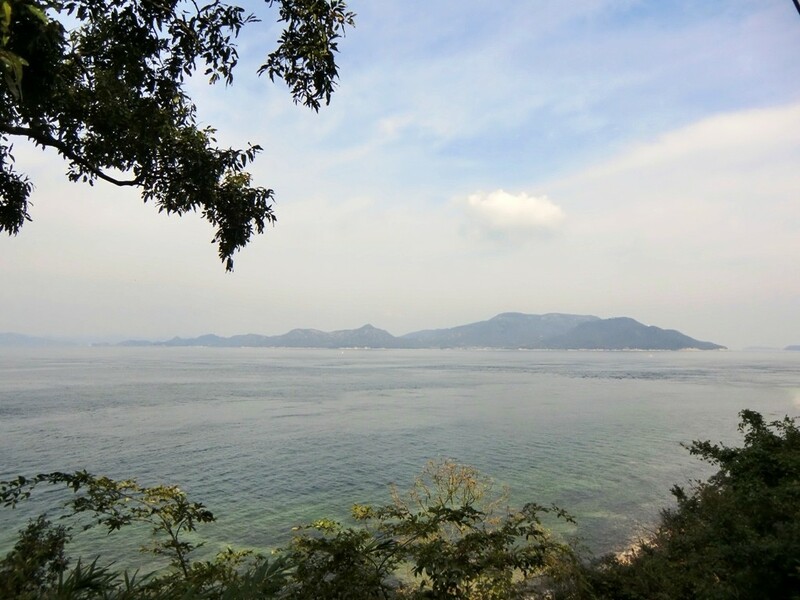 Home » Art Setouchi » Where to stay during the Setouchi Triennale? One of the most common questions I get from people asking me for information about the Setouchi Triennale is where they should stay during their time visiting the art festival, what place is best to use as a ‘base’? In Uno Port (located in Tamano City, Okayama Prefecture). When you’re far away from here and planning your trip, this may seem like a difficult choice, but when you live here and now the area a little, it’s not even really a question. I admit that the idea is quite pleasing and attractive. Some of you may even think that a visit to the Setouchi Islands can’t be complete without sleeping on one of them. I don’t technically disagree, but there are a few logistical considerations to take into account. First of all, the number of places where you can sleep on each island is somewhat limited, you will have to make some reservations months in advance, for 2019, it may even be too late already. Also, you will need to be able to speak Japanese in most places; very few people can communicate in a foreign language on the islands, even those catering to the Triennale’s visitors (while it’s expected to soar this year, keep in mind that the number of foreign visitors still remains low compared to Japanese visitors, and people owning guesthouses and inns are usually older). More important, if you’re going to attend the Setouchi Triennale, you’re not going to visit only one island or two (what would be the point?). And the fact is that the islands are not very well connected with each other as far as ferries are concerned. From one island, you can sometimes access a second island, maybe a third island if you’re lucky, but that’s pretty much it – not mentioning the fact that some of those connections usually only run a couple of times a day. In order to reach the other islands, you’ll have to make a detour to Honshu or Shikoku. Also, the last ferry departing from most islands is usually quite early (around 5 pm), if you have to ride two or three ferries to go from one island to another and then back to the first island at the end of the day, you’ll spend more time riding ferries than actually visiting anything. So, no, basing yourself on an island is not very realistic in my opinion. A thing you can do though is spending at least one night on one island, that’s always a very interesting experience. And you’re a planning champion and don’t mind carrying around your baggage, you can sleep on a different island each night, but that requires some organizational skills that I don’t have. Maybe you do, who knows? I’m going to kill the suspense right now, that idea would never even cross my mind, but I understand why you may be considering it. You’ve bought your guidebook and you may have read that the access point to the Setouchi Islands was Uno Port in Okayama Prefecture. I’m going to tell you a shocking secret here. Most people who write the guidebooks you use when traveling to a new place don’t really know the place better than you. The only difference is that they’re paid to go there, whereas you’re paying to go. Then they just write about what they see or what they read on the local pamphlets handed out at the local tourist office. And in our particular case, they sometimes don’t seem to be fully aware that there is a big island called Shikoku in the area, and that it’s actually the access point to most of the smaller islands (a big hint is that all but one of the islands taking part in the Setouchi Triennale are located in the Kagawa Prefecture, not the Okayama Prefecture). However, I see the logic here. You’re traveling all around Japan, most likely on a JR Pass, and getting off the Shinkansen in Okayama City, Uno Port seems like the obvious choice because it’s the closest one. Well, going through Uno makes sense if you only intend to visit Naoshima or Teshima… Except that it would be a big mistake… These days, I often find myself debunking an idea that seems to be spreading out like wildfires in Western media (because they all copy each other? ); no, Naoshima is not the main island of the Setouchi Triennale, it’s not its hub, not its center, or whatever you want to call it. It’s just one island among twelve. It happens to be the most famous in the Western world, but – and I may greatly surprise you again – it may even be the least interesting island during the Setouchi Triennale! Let me explain. All of Naoshima’s art (except for one gallery) is permanent and open all the time, so basically during the Setouchi Triennale, things are no different from any other day of any other month. Well, there is one big difference: during the art festival, you will encounter more crowds and longer waiting lines. Sure, new art on Naoshima tends to open a few months before each Triennale and not at other times… There are a few events on Naoshima too, but much fewer than what you can find on the other islands. I’m not saying by any means that you shouldn’t visit Naoshima if you’ve never been – you should, you really should. What I’m saying is that during the Setouchi Triennale it’s just one island among twelve and that if you’ve already visited Naoshima in the past or have the opportunity to visit it again at a later date and don’t have all the time in the world, you could easily skip it. OK, back to our hunt for a place to stay in the area. So, if you only want to visit Naoshima or Teshima, yes you should arrive from Uno Port and maybe you could sleep there, but really, you shouldn’t only visit those two islands. And on a practical side, once again, if you check what islands can be reached directly from Uno, you’ll only find three (Naoshima, Teshima and Shodoshima), as well as Inujima (if you change boats on Teshima). If you want to reach any other island, you’ll have to go to Shikoku and Takamatsu. Also, I don’t want to say anything bad about the city of Tamano, because truth is that I don’t know it that well with the exception of Uno Port, but while it’s administratively speaking a city, it’s more a grouping of villages really, and that may not be very convenient to have this place as a “base” (remember that this is what we’re looking for right now), there are very few shops or places to eat at night, not much to visit, and if you plan on going out at night, so can simply scratch that plan. First, know that from Takamatsu, you can directly reach all of the eastern islands taking part in the Setouchi Triennale (that’s the ones that are involved for all three sessions throughout the year), with the exception of Inujima once again (you’ll have to change boats on Shodoshima or Teshima). Indeed, if you’re looking for a hub, center, or main location for the Triennale, it is indeed Takamatsu and not any of islands. And let’s not forget the western islands (Shamijima in the Spring, Honjima, Takamijima, Awashima, and Ibukijima in the Fall). 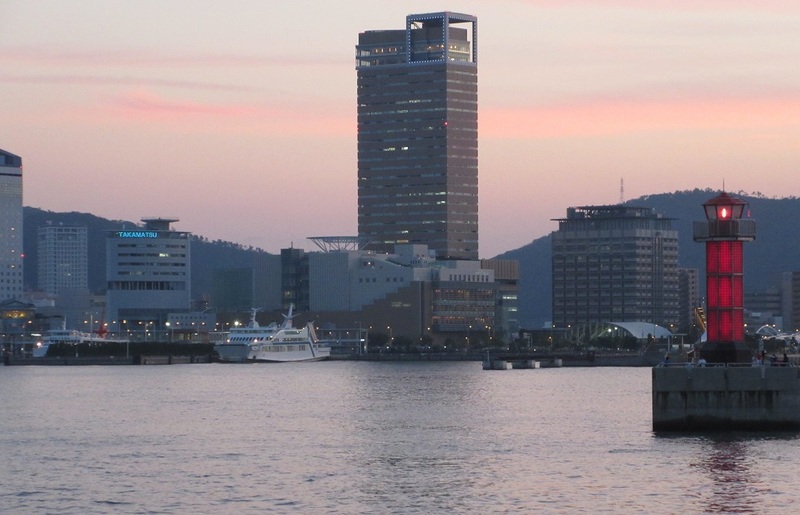 While ferries for these islands depart from a different port each, all of those ports are easily and quickly reachable by trains departing from Takamatsu. Now, going back and forth to Takamatsu and those islands each day may be tiring (but doable – that’s what I usually do in the Fall, although I spread it out over a month) and you may want to have a secondary base westward, probably Marugame or around). Finally, Takamatsu is an actual city of about 400,000 people that is worth visiting regardless of the Setouchi Triennale (it’ll be a grave mistake to come to the area, attend the Triennale and not visit Ritsurin Garden for example – actually for most Triennales, some art can also be found in the garden). I hope this post helped you plan your trip to the region. It is part of the Setouchi Explorer FAQ that tries to answer the questions visitors to the Setouchi Islands, Takamatsu and more may have. If you have a question, please, check the FAQ first, and if you can’t find an answer, feel free to ask me. Wonderful experience, but not something I would do in summer. Might try again if I visit in May as I still want to see the sunset. Maybe you’ll want to join me if the timing is right. 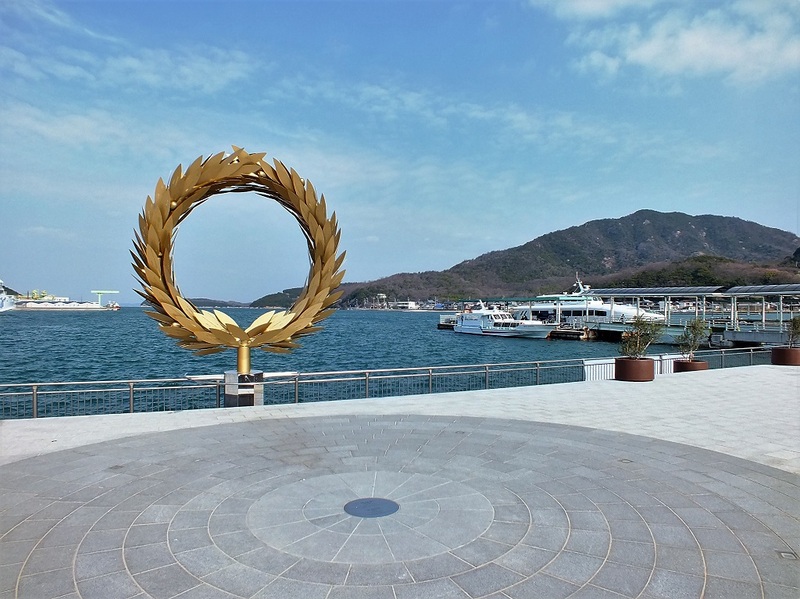 Personally, I think Naoshima is a good base too, but nowhere near as good as Takamatsu. There are a lot of Japanese style B&Bs, for budgets, and the Benesse House is good if you are rich. I’m far from it though. If I’m not mistaken, there are more links to other islands during the Triennale months, so it wouldn’t be a terrible base, but definitely not as convenient as Takamatsu. I’m aware of only one guesthouse, “designed” for foreign tourists, in Tamano, but I really don’t know more. As I said, it’s really the countryside there, and as you said, Okayama City maybe the best option to stay on Honshu, and yes, it’s not a good option. Yes, if you stay on Ogi again, I’ll try to stay at the same time as you if feasible with my schedule. Naoshima isn’t really a good base, because from Naoshima you can only go to Teshima, and maybe Inujima, not the other islands. There are a few more boats during the Triennale, but three years ago there was one boat between Naoshima and Ogijima and it ran once a day, not a practical option in my opinion. I don’t know yet about special boats this year. My research to date tells me that if I stay in Takamatsu for a week or so and Shodoshima for two or three nights, I will be able to see a large number of works as there were 52 of them on Shodoshima last time. I don’t see how I would be able to see everything, but if I take a couple of days to see what’s on an eastern island or two, all of that should make for a fulsome visit. There should be fewer artworks on Shodoshima this time. I don’t have the list yet (counting the days), but knowing what art is permanent and having a list of names of new artists, I expect around 20 (don’t mark my words). Does that matter if you have never been there? No. The island is big, and requires several days to be visited, especially because you’re likely to travel slowly on it. Are you implying that there may well be less than 52 works to see old and new? How useful would a car and driver be? Yes, I’m more than implying. While I don’t know the exact number yet, I’m pretty sure it’ll be much less than 52 this year. But Shodoshima is worth spending a couple of days no matter what. And yes, a car would be very useful, you won’t be able to see much otherwise.